Preaching's most able practitioners gather in this book to explore and explain the idea that preaching is a practice that can be taught and learned. 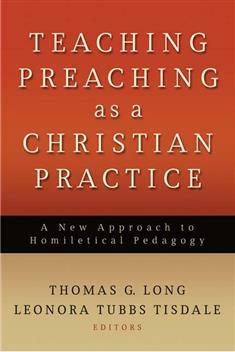 Arguing that preaching is a living practice with a long tradition, an identifiable shape, and a broad set of norms and desired outcomes, these noted scholars examine pedagogical approaches that will introduce students to the practice of preaching and encourage a life-long process of becoming effective practitioners. The book concludes with designs for a basic preaching course and addresses the question of how preaching courses fit into the larger patterns of seminary curricula.